Gourmet night cream, ideal for cell oxygenation & skin renewal! 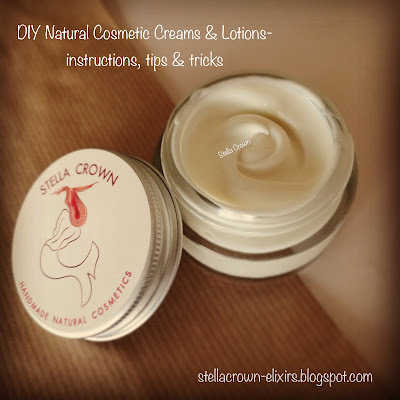 A dreamy anti-aging cream with pomegranate butter for rich antioxidant action & silk protein which improves skin moisture while maintains the skin soft and silky. It also contains thistle and apple, rich sources of omega6 & omega3 fatty acids with strong anti-wrinkle properties & orange which restores the lost lust while walnut & aloe vera provide powerful anti-inflammatory & softening effects! Our cream is enhanced with hyaluronic acid & marine elastin in order to restore firmness and provides skin elasticity while the synergy of orange, clove & lavender essential oils contributes to wrinkle repair & keratinocytes proliferation. Before we start making our cream, we sterilise tools, containers, work surface while we wear our gloves. 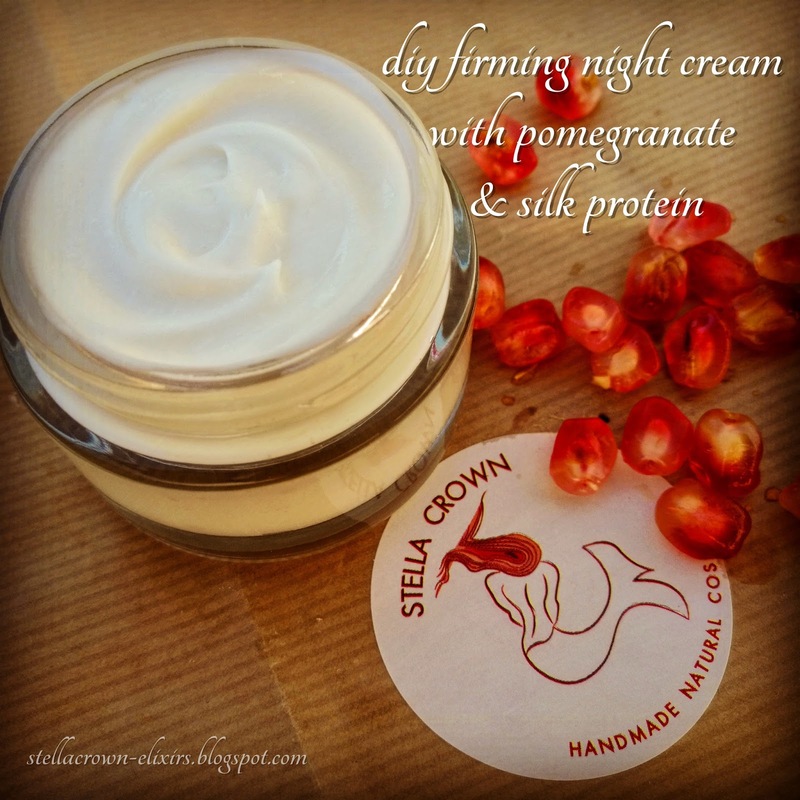 Pomegranate butter is rich in antioxidant properties, strengthens collagen and elastin production, protects against free radicals and can be easily used in day cream as it is also very popular for its sunscreen filters. Walnut oil has tonic and anti-inflammatory properties, absorbs easily from the skin, is particularly preferred in massage and, most importantly, is an anti-aging oil with strong regenerative, moisturizing and softening effects. Apple seed oil also belongs to the category of sensitive oils, so we add it to the third cosmetic phase, when we have already prepared the base of our cream. It is rich in oleic and linoleic acids which hydrate deeply. It accelerates the natural collagen production process of the skin and contributes very strongly to cellular regeneration. Beeswax offers antiseptic and anti-inflammatory properties, heals and softens, while stimulating skin elasticity. Orange floral water has moisturizing, refreshing and soothing properties and recreates all skin types, while aloe vera gel softens and soothes the damaged skin. Pomegranate extract repairs the skin, prevents wrinkle formation and proliferates keratinocytes. Hyaluronic acid is used for its refreshing effect, restores the skin firmness, marine elastin stimulates skin elasticity while silk protein penetrates the skin, moisturizes and regains lost luster. Vitamin E protects the skin from free radicals while vitamin A repairs even the deepest wrinkles. Rose Absolute essential oil fights the aging signs as it tightens the facial muscles, geranium essential oil has strong astringent, antibacterial and antimicrobial action, frankincense is anti-wrinkle and anaplastic while myrrh is anti-inflammatory and healing.